This is a great short video explaining what an insulin pump does. It is particularly aimed at someone thinking about pump who has never seen one before. She dispells some of the myths around insulin pumps, and talks about what it can and can't do. It is made by a US hospital and diabetes educator but is non-promotional (although she gives out the hospital telephone number in case you fancy visiting!). 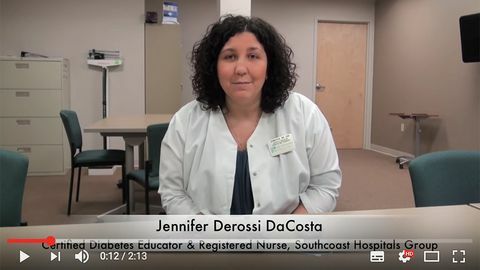 This is a very nice, reassuring, video which gives a clear basic education on insulin pumps. It would be really useful for anyone thinking about starting pump therapy and isn't quite sure about how it works or how their insulin regime may change.